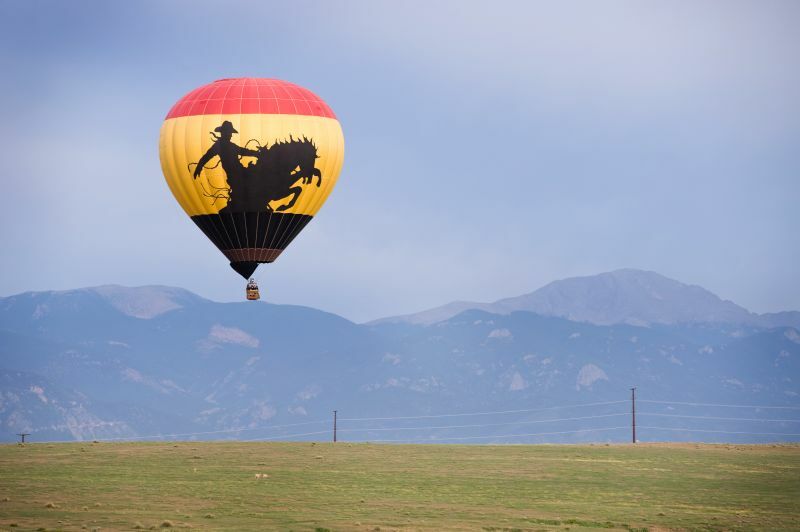 High Flying Adventure in Pikes Peak Country! No where else on Earth do Mountains and Plains meet just so, to create views like this and no two flights are ever the same. Prepare yourself for the unknown. Since the first flight in1783, scientist, explorers and sightseers have attempted to tame the gentle giants to no avail. The balloon flies free of earthly and human bonds as a dance with the almighty. 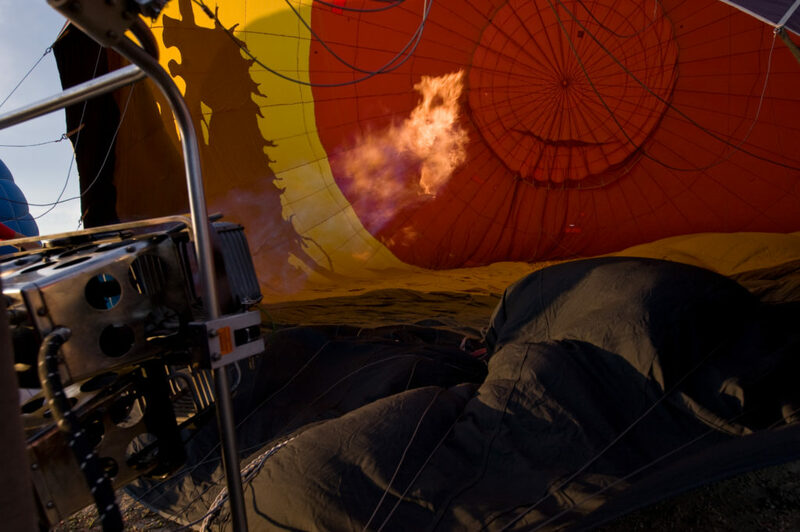 Our role as the balloon team involves a choreographed show, directed by the pilot and with our crew as the instruments to ensure you have a safe and memorable adventure. That is a fancy way of saying hold on and here we go. The variable winds, land owner relations and vehicle transportation dictate when and where we can fly. Often times our flight team will change launch sites multiple times to ensure the safest flight paths. Piballs, wet fingers and a keen sense of the weather help determine the ultimate launch site for the day. A typical flight involves 15-30 minutes of van transportation time finding the launch sites. (If you have selected hotel pick up it will be 15 minutes longer.) 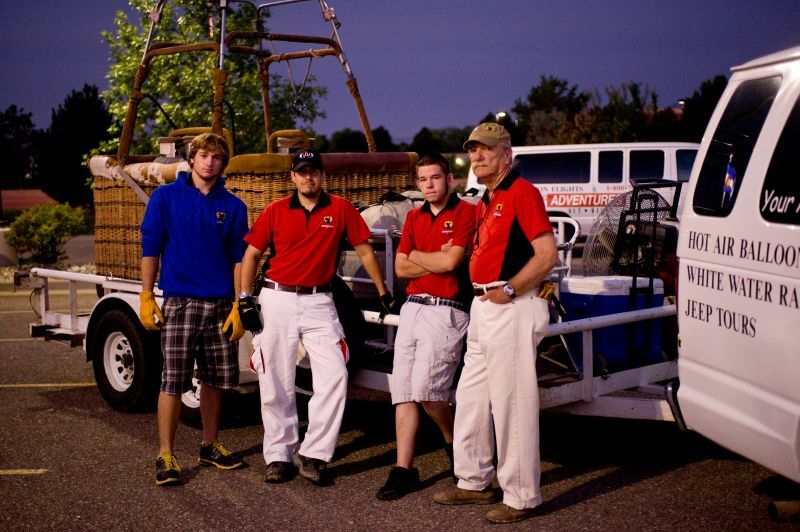 Once we are in the launch field it takes about 20 minutes to assemble the balloon, load the guest and prepare for launch. This is an exciting time of anticipation with the sound of the fans filling the balloon envelope with air. With the pilot lights lit the roar of the burner brings the gentle giant to life and its time to load up. Loading up is the second adventure of the morning:) The basket is a basket or Gondola in scientific terms. No doors or seats. Guests will need to be able to climb up and over the 4 foot high leather rails of the basket. Our flight team can assist but if you can’t climb in then this activity is not for you. The basket is small by design and strongly built to hold our guest snug and secure. If you were not good friends before you will be now. depending on how many guests are booked there may be up to three people per compartment. 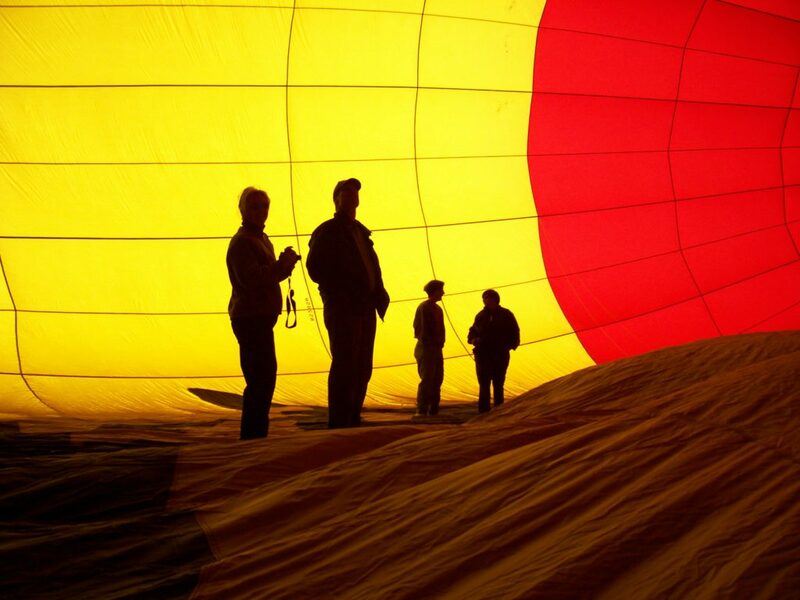 Guest weights are required at booking time to ensure safe weight and balance loads for the balloon. Up Up and away! Its time to fly. Sights and sounds of the flight include long vistas of the Colorado Front Range and characters below. Cars and trucks, airplanes and wildlife are commonly spotted. No two flight patterns are ever the same and wildlife cannot be guaranteed. Neither the total flight time or landing site can be determined in advance. Some flights are slow moving and climb to several thousand feet. Other times we cruise Easterly in stronger trade winds. We always try to fly for at least 45 minutes. How long or where we land is tough to tell but one thing for sure is that we don’t know in advance of launch time. If the forecast is for gusty winds, strong winds aloft, precipitation or low clouds we do not fly and often times we can cancel the flight in advance. Sometimes the flight makes it to the field only to be canceled at that time. This is the adventure of ballooning. We do not file flight itineraries and we do not have bathrooms on board. We do serve champagne though after the flight. But first we must land the balloon. Or as the guest says, “We crashed.” No we didn’t but it can be rough. The balloon dose not have wheels and shock absorbers. The balloon will bounce once or twice (and maybe a third time) before it drags to a stop. 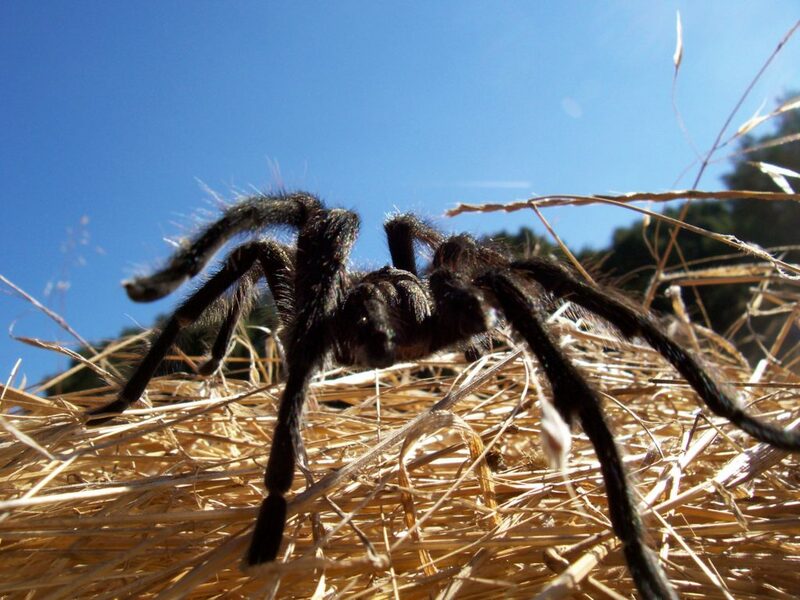 On calm days it may only move a few feet. Other times we have drug hundreds of yards through fields and brush, (A high wind landing). On most flights the basket will end up on its side just opposite the inflation with guest giggling, laughing and laying on top of each other. This is landing and is the FULL ADVENTURE! Sometimes it takes the crew up to 30 minutes to get to us. Be prepared with proper clothing including tennis shoes and or boots. I, the pilot, wear Hiking boots, jeans and a sweatshirt for the flight. Coats are recommended. Balloon recovery from a far off field that might be wet or sandy can be an adventure for sure. The areas we fly in and are very familiar with generally are easy for recovery but sometimes we get stuck. (Insert more giggling and laughing). Our crew busts out the truck and the adventure continues. During this portion of the show, the guest will be entertained by the pilot while sipping champagne and enjoying the Great Plains of Colorado. Watch your step! Cactus, Prickly and other things that bite may be encountered. 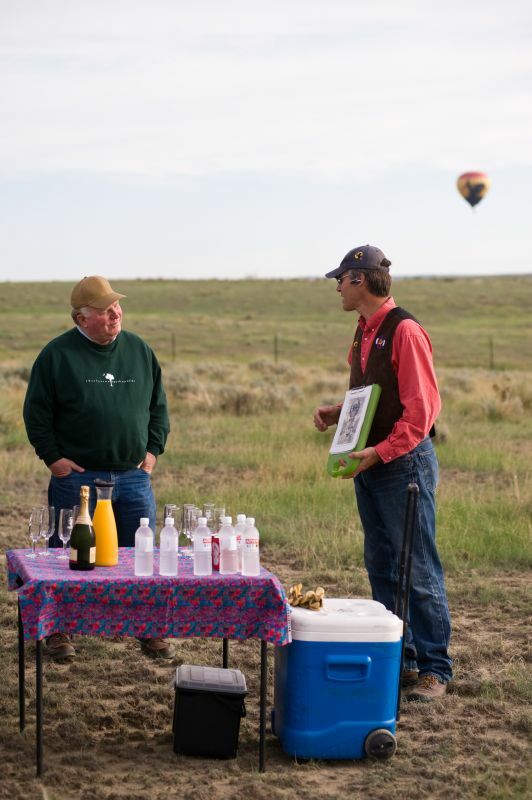 The Champagne toast is a tradition dating back to the first days of ballooning. It is a light snack in the field and a good time for photos and memory making. 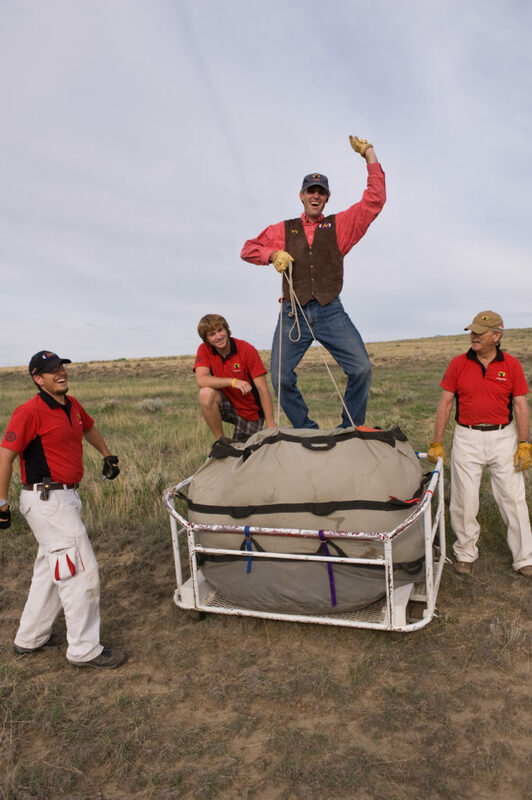 It takes the balloon crew about 20 minutes to pack up a balloon and load it in the trailer. Once the balloon is loaded it is time to head back to the meeting point. This can be 5 minutes or 30 minutes depending on the flight. A typical flight adventure is 3-4 hours. If everything goes according to plan you should be done in 3.5 hours. Obviously there are a lot of variables on this time line and too many to list. Please prepare your expectations and be prepared for a once in a life time outdoor adventure in Colorado. It’s so beautiful up here. No wonder the birds sing. An exclusive flight for two people can be a very memorable way to celebrate a birthday, anniversary or a special day with a friend. Or guarantee your flight will only be you and your friends. Also ask about our weddings in the sky for an affordable wedding ceremony. Our tour was so much fun! My family loved our adventure! 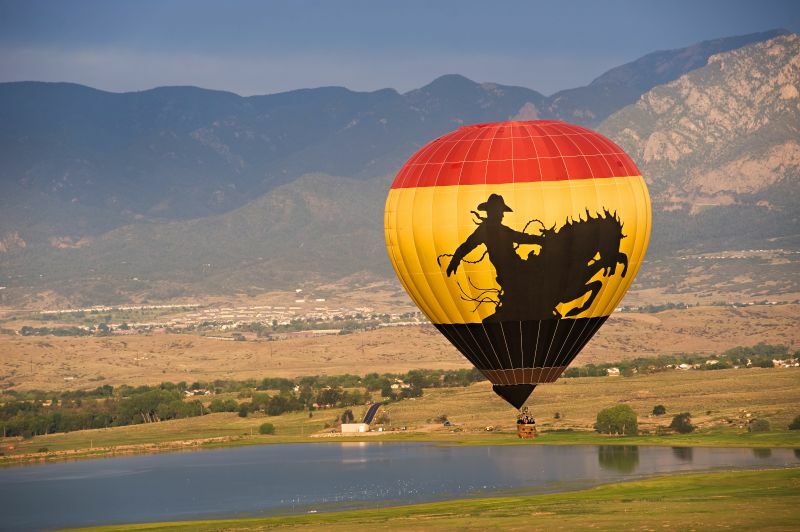 For 45 years AOW has been flying Hot Air Balloons in Colorado. 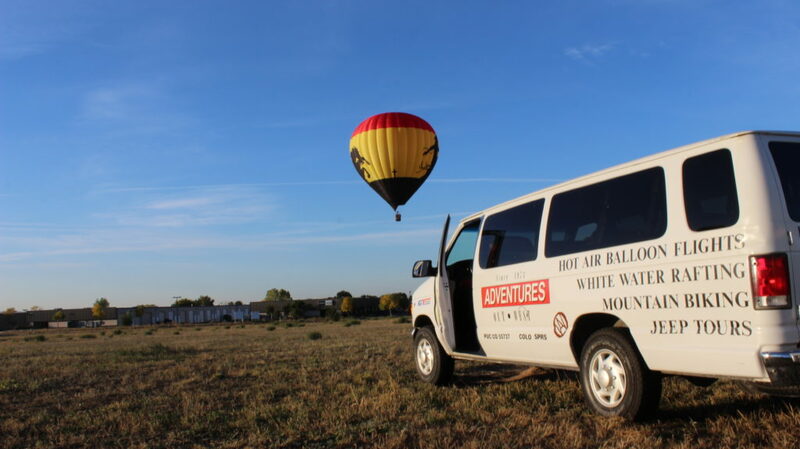 As the oldest commercial balloon ride company in America, AOW has the experience and resources necessary to ensure your friends, family and company are well served. Our flights originate near the Colorado Springs Airport. 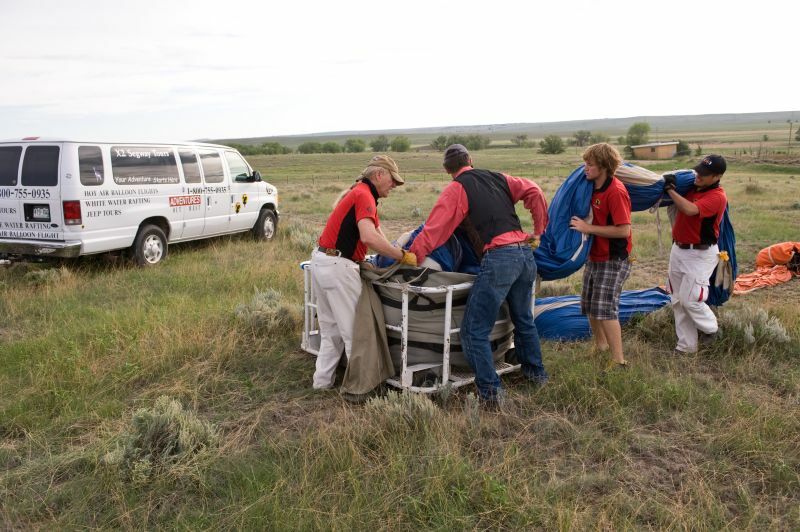 Our Balloon systems are mobile command centers allowing Adventures Out West to choose from several launch sites. This helps to ensure your flight will be a success in the event of changing wind patterns. 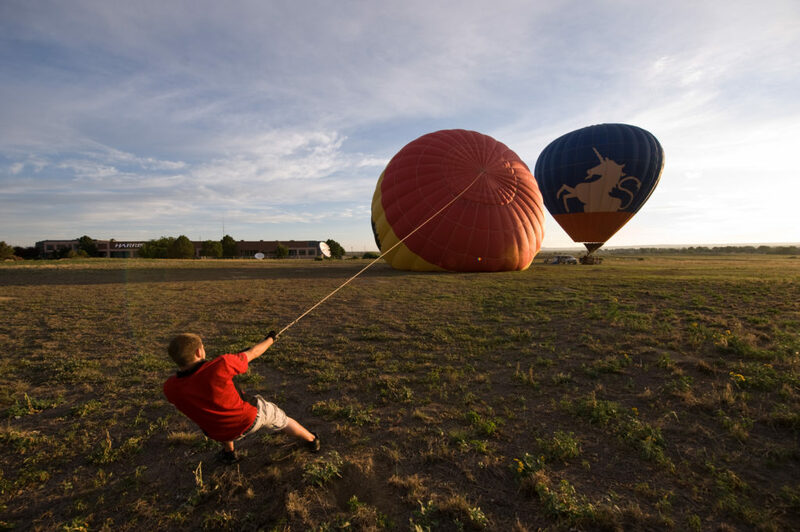 Our balloons fly outside of the city over the Great Plains to ensure a safe and scenic adventure. 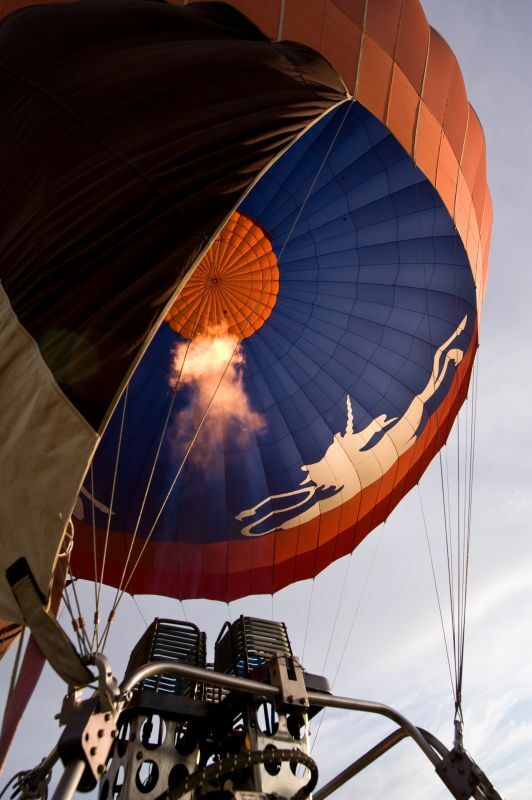 Group flights, anniversarys, Balloon Glows and Tethers we do it all. Only at AOW will you get local pilots and crew to ensure your experience is the best possible. 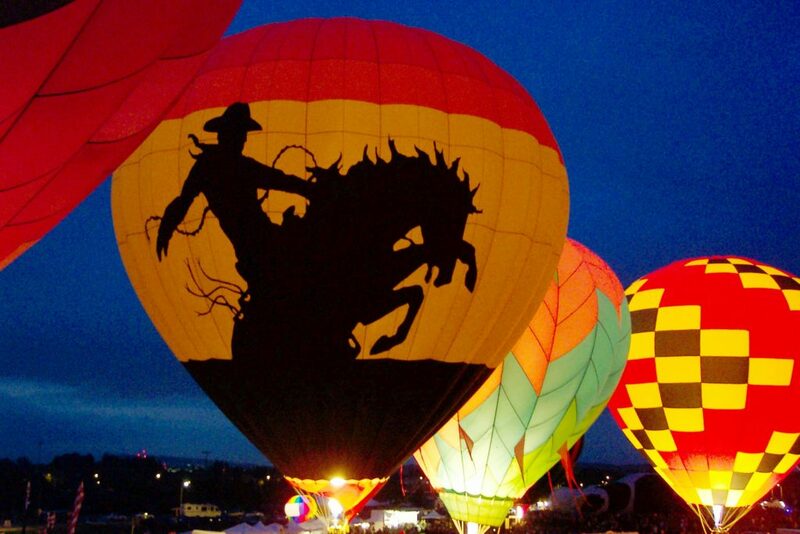 Hot Air Balloons flights are subject to favorable weather conditions. On average 20% of all flights are rescheduled due to weather. 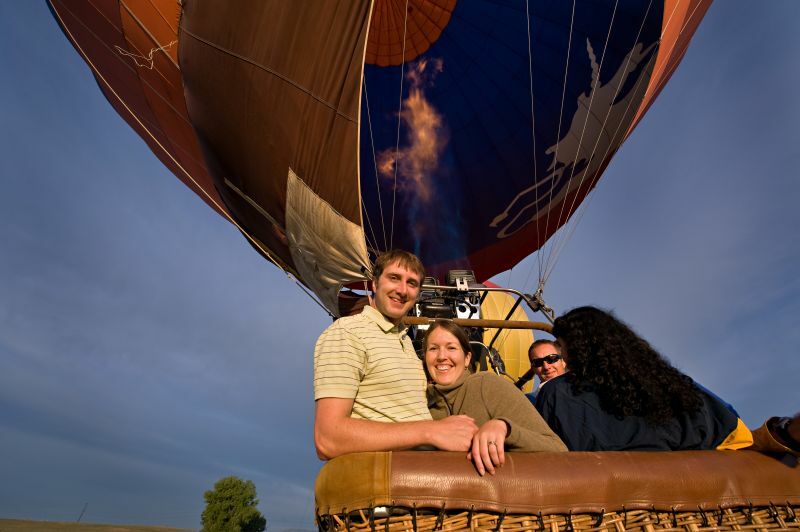 We recommend making the balloon experience early in your stay so you have additional opportunities to reschedule. Full refunds are issued for flights cancelled due to weather.